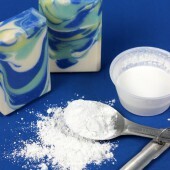 Temperature is another important part of the soapmaking process. 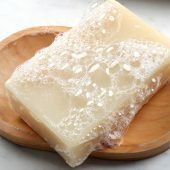 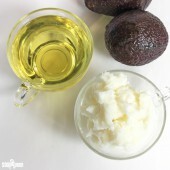 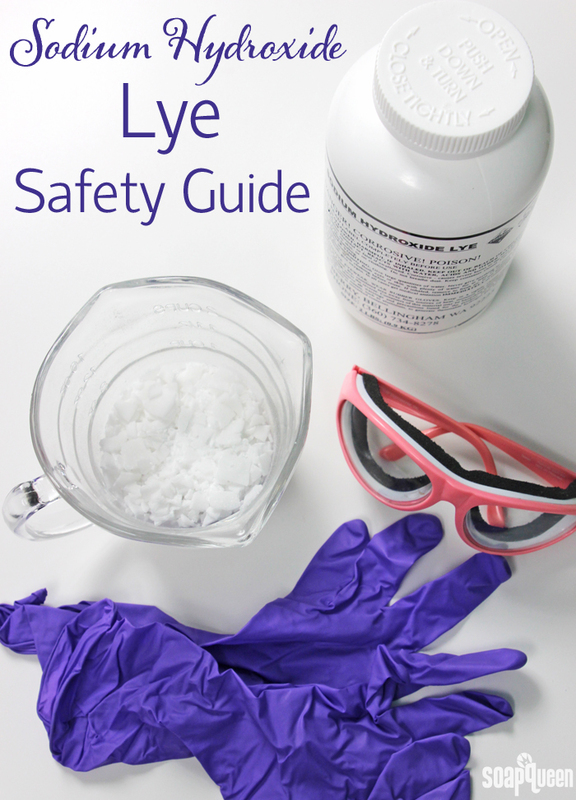 Having the lye solution and oils around 120-130 ° F is a popular soaping method. 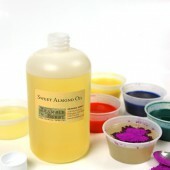 That temperature keeps all the hard oils melted, and allows plenty of time to work with your design. 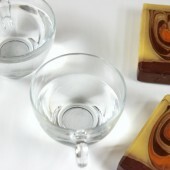 Higher soaping temperatures can also promote gel phase. 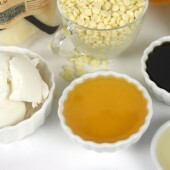 However, if you’re working with milk, the temperatures will need to be lower to keep the liquid from scorching. 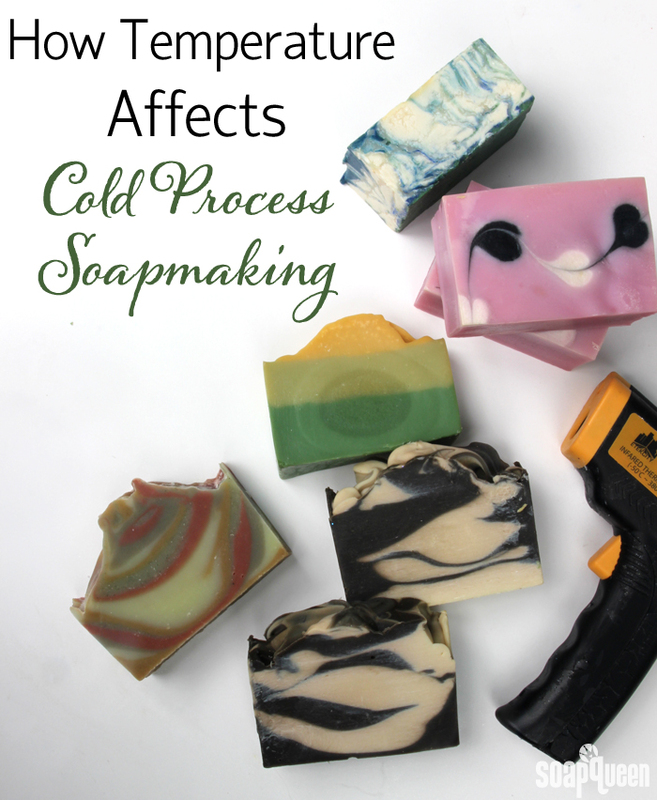 Read more in the Back to Basics: How Temperature Affects Cold Process Soap post. 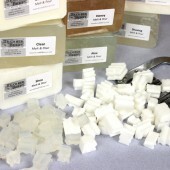 With safety and temperature in mind, you can start soaping. 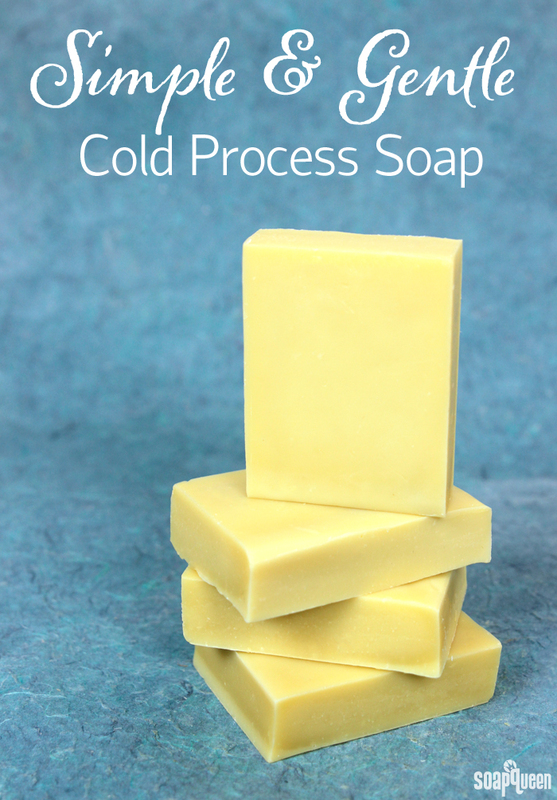 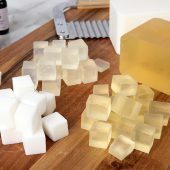 The Simple and Gentle Cold Process Soap is a great basic recipe. 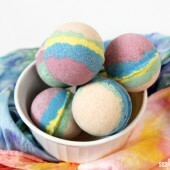 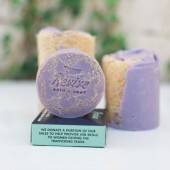 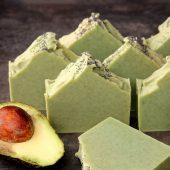 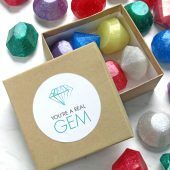 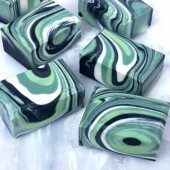 It is made with coconut oil, olive oil and palm oil, which makes a firm and bubbly bar. 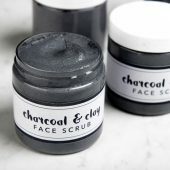 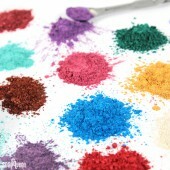 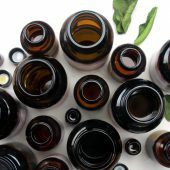 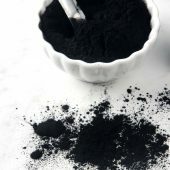 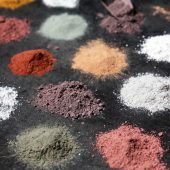 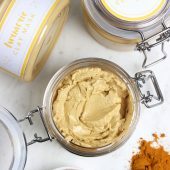 It doesn’t have any scent or color, which helps you familiarize yourself with the process before trying additives. 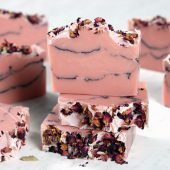 It’s also great for anyone who prefers simple bars. 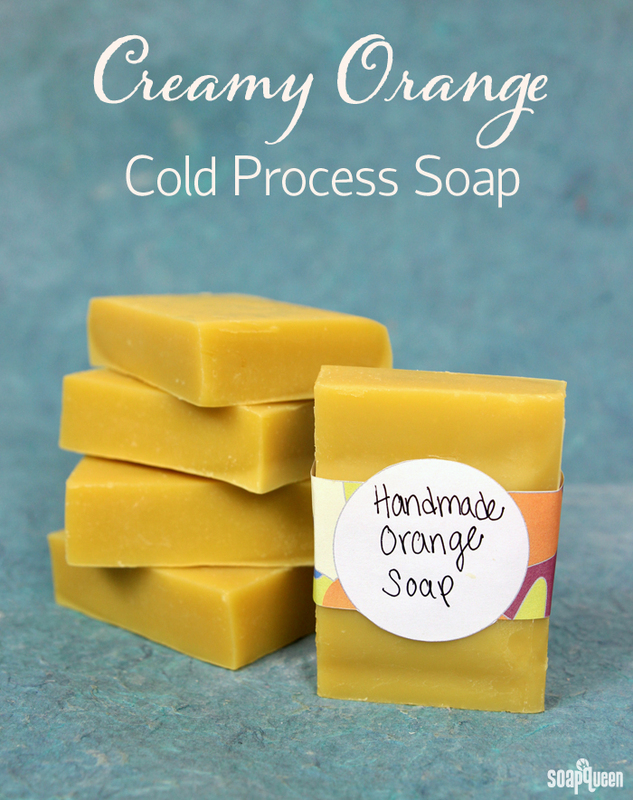 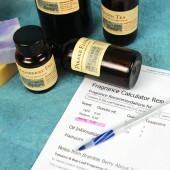 For a simple recipe with a fresh scent, click through the Creamy Orange Cold Process Tutorial. 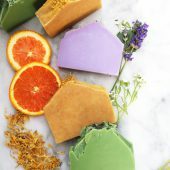 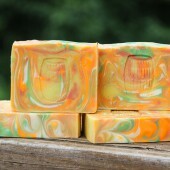 The soap has 10X Orange Essential Oil, which adds a citrusy fragrance and orange color. 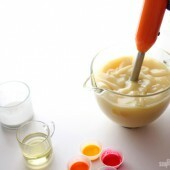 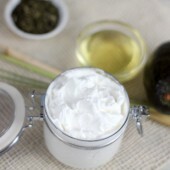 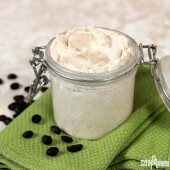 The recipe also features coconut oil, olive oil and palm oil. 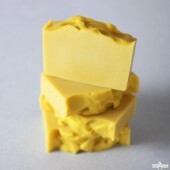 It also has 10% cocoa butter. 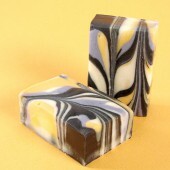 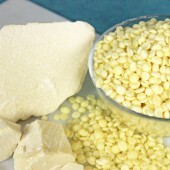 Cocoa butter adds firming and moisturizing properties to the soap. 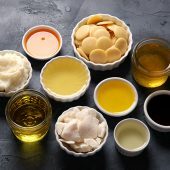 In the mood for more simple recipes? 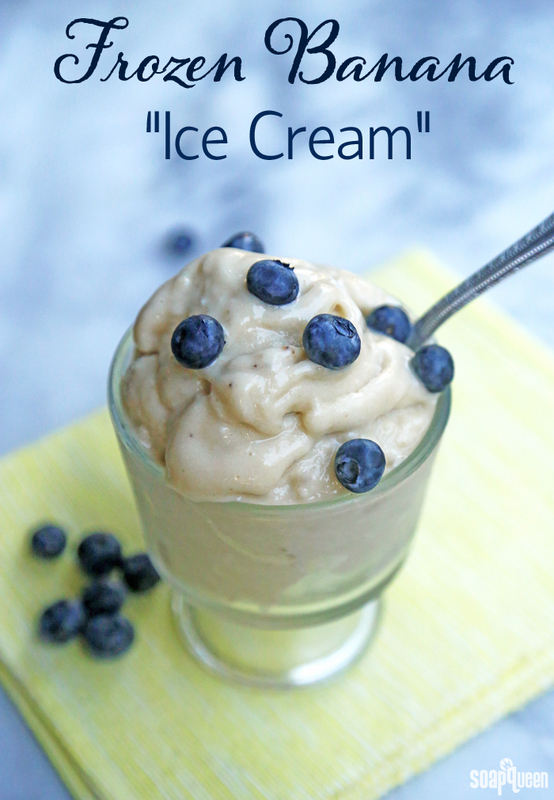 You’ll love the Frozen Banana “Ice Cream” recipe. 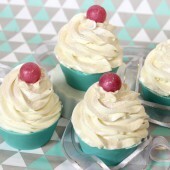 To make it, all you need are frozen bananas and a blender. 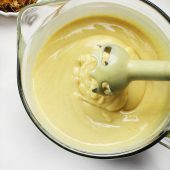 The frozen bananas develop a creamy texture when blended. 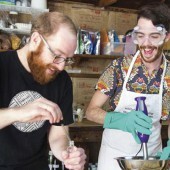 It’s a healthy alternative to traditional ice cream. 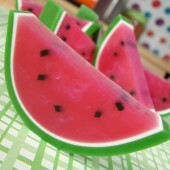 You can eat it plain, or top it with fresh fruit, nuts or chocolate. 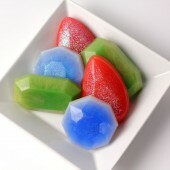 This week’s Facebook Photo of the Week is another sweet treat. 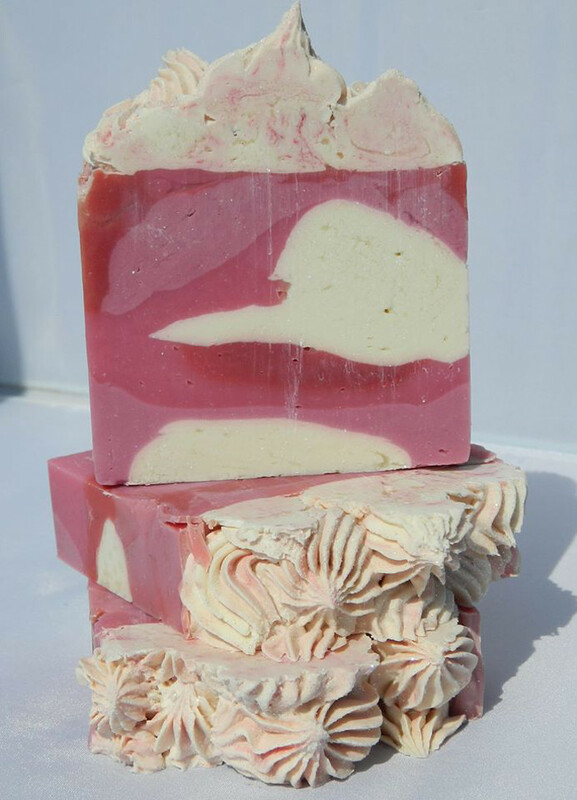 The soap, made by Kim with Horizon Soaps, is scented with fresh Cherry Blossom Fragrance Oil. 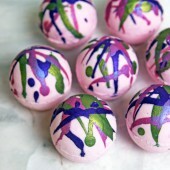 It goes perfectly with the pink color palette. 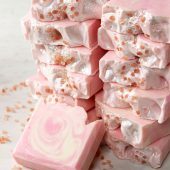 The different shades of pink pop against the white soap. 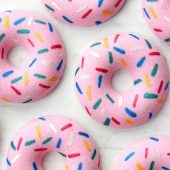 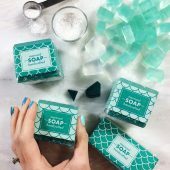 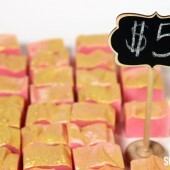 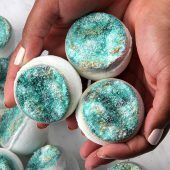 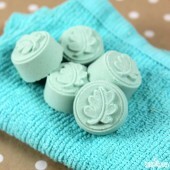 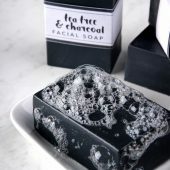 For an elegant touch, the soap is topped with cold process frosting. 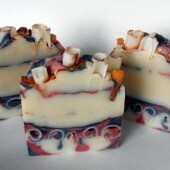 It’s a gorgeous way to finish the soap. 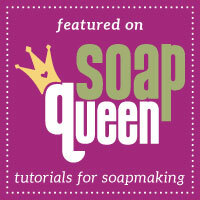 For more pink soap, click through the Layered Lilac Loofah Cold Process Tutorial. 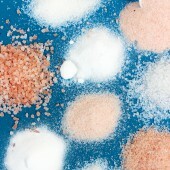 Pink Himalayan sea salt adds color and exfoliation to the Pink Salt and Shea Bath Bar. 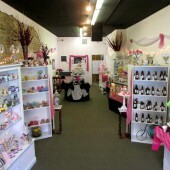 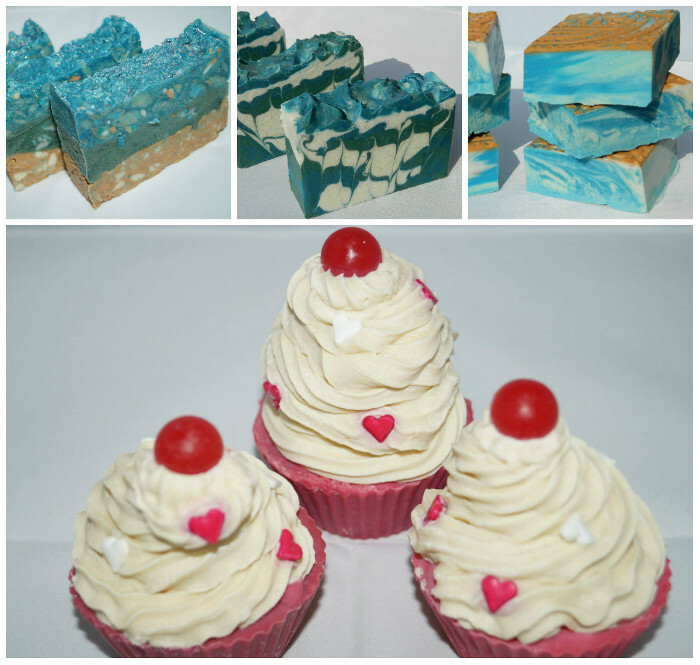 Above (clockwise, top left) are Kim’s Golden Mermaid Soap, Ocean Rain Soap, Paisley Fruit Cocktail Soap and Red Velvet Cupcake Soap. 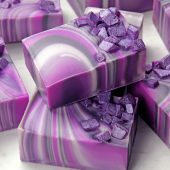 The paisley pattern on the fruit cocktail soap is stunning. 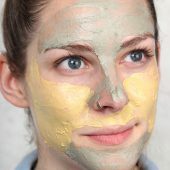 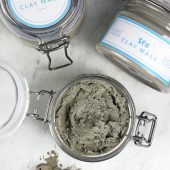 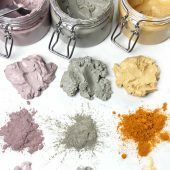 To get the look with melt and pour, click through the Under Your Spell Melt and Pour Clay Tutorial. 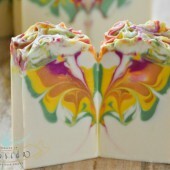 For another unique soap pattern, check out the Jasmine Lace Cold Process Soap Tutorial. 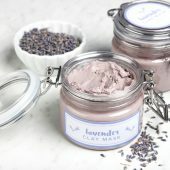 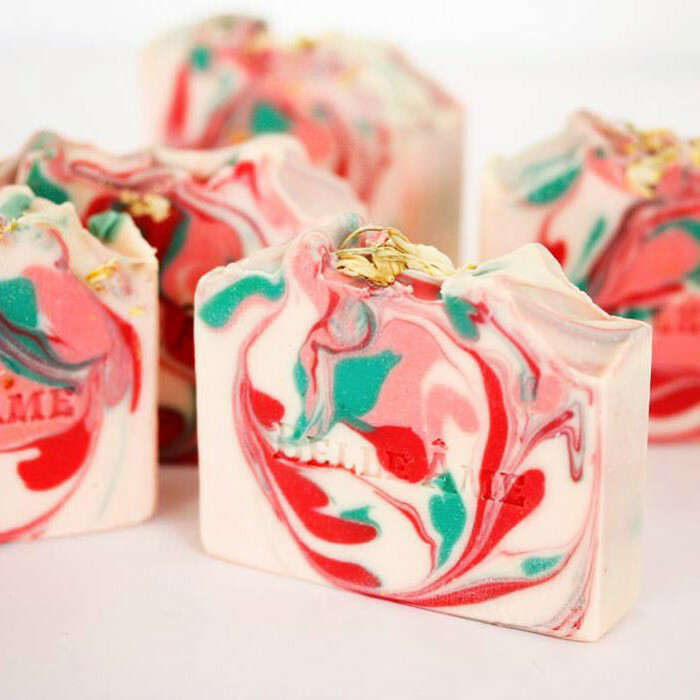 Pink hues are also in this week’s Instagram Photo of the Week by Belle Ame Candles and Soaps. 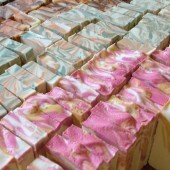 The pink is perfectly swirled with the red, green and white soap. 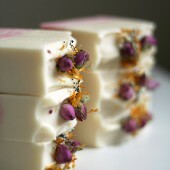 For extra detail, the Southern Peach Rose Soap is topped with petals. 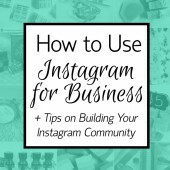 Check out more inspirational work on Belle Ame’s Instagram page. 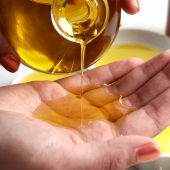 The basic cold process is an excellent tutorial for us starters..